“Giving Thanks” Giveaway at AlbuKirky Seasonings! 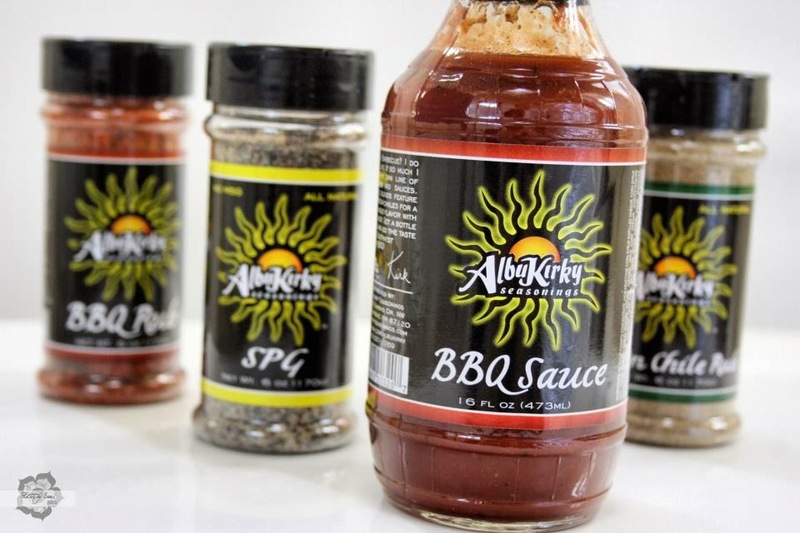 What are we thankful for at AlbuKirky Seasonings? It may sound trite, but the answer is…YOU! We started this wee company 3 years ago with one product and no idea if it would grow into anything more. A lull in the career path prompted a leap of faith and a crash course in launching a food oriented business. Three years down the road, we’ve progressed from a “wee” hobby business to a small business and we’re still growing! Yep, sometimes you have to grow into a “small” business. Five products later (and lots of blood, sweat, and tears), here we are. This year we vended at our first Fiery Foods Show with great success, competed at the Pork n Brew and placed 2nd in the Sauce category with our brand new Duke City Sweet right out of the bottle, found our groove at the Downtown Grower’s Market, and celebrated because Sprouts, a national organic grocery chain, started carrying our red and green rubs throughout the state of New Mexico. These might be small steps for some companies, but these achievements were akin to landing on the moon for this mom and pop business. And we owe it all to YOU! You have supported us every step of the way, you have shared our products with your friends and family, and daily you spread the word. That kind of marketing is powerful and priceless! To properly thank you, we are offering a “Giving Thanks” Giveaway. Increase your chances of winning by following the different entry options on our handy dandy Contest Widget following the prize photos. We’ll randomly select a winner on December 1st. The prize package includes one bottle each of everything we carry including all your favorites and maybe some you haven’t tried yet. 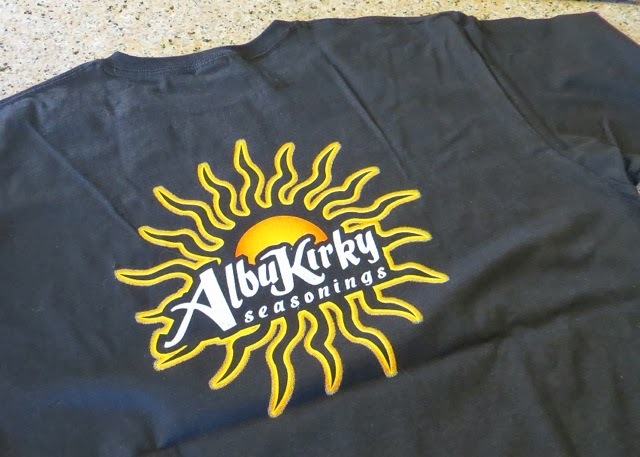 Plus a limited edition Team AlbuKirky Seasoning’s t-shirt (XL only) designed by our talented friend Joel Atkins for the 2013 Disc It Round Up. AND that’s not all…now through November 30th, everything in the AlbuKirky Seasonings online store is 20% off with the coupon code…..
Just enter “thanks” at checkout and restock your pantry for the holidays or snag some gifts for those special Foodies in your life. Take a gander at the prize package! 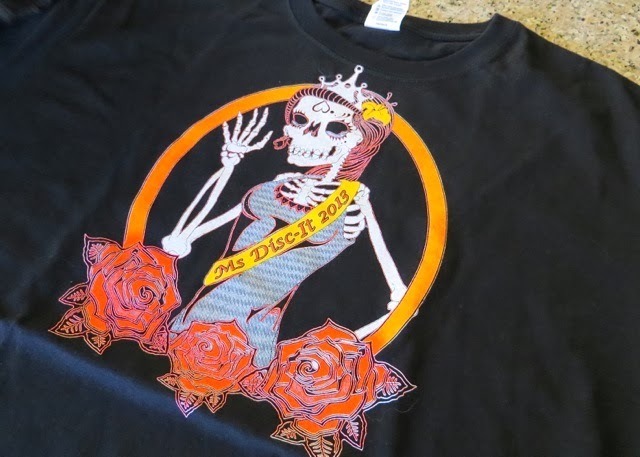 Front of t-shirt. Pretty suh-weet!!! Back of t-shirt. Equally as cool as the front! Not pictured: Duke City Sweet, but never fear, a bottle of our latest and greatest will be included. Enter here! What are you waiting for??? It’s Here!! The AlbuKirky Ribwich!!! What my favorite Thanksgiving dish – mashed potatoes. Mmmmmm. Thanks for a chance to win. Homemade desserts especially pumpkin pie… It doesn't really matter which one, I love them all?! Sage sausage stuffing. Although, after reading about your Testgiving I decided to whip up some onion bagel and bacon stuffing this week to see if it will unseat our favorite. Cornbread dressing. One of you gift packs was a prize at a fund raiser in South Dakota for the restoration on an old railroad hotel. my favorite is cranberry relsih.. I only make it once a year! My favorite Thanksgiving Day dish is (after the Turkey, of course)… spiral sliced, smoked and candied ham. I love that! Ok, homemade cornbread stuffing is my favorite! Stuffing!! Pie!!! Turkey!! !– Oh heck I love it all!! Everything is nom nom nom good!